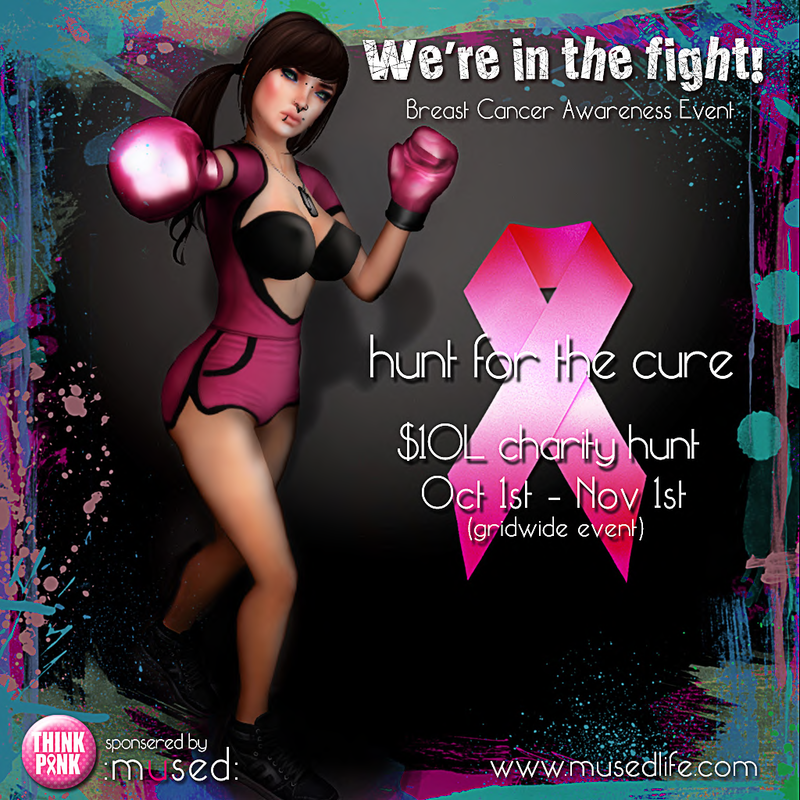 We are gearing up to put together the Hunt for the Cure and related events. So be sure to keep any eye out for up coming posts with more details but we are going to be looking for stores who want to participate in the hunt so be ready to put in an application! Like last year this will be a 10L$ hunt with all proceeds going to support Breast Cancer patients though an existing charity. We will have a couple of events, drinking contests, limited edition tanks, and more fun things for a good cause.